At 0829 hours, the Union Fire Company No. 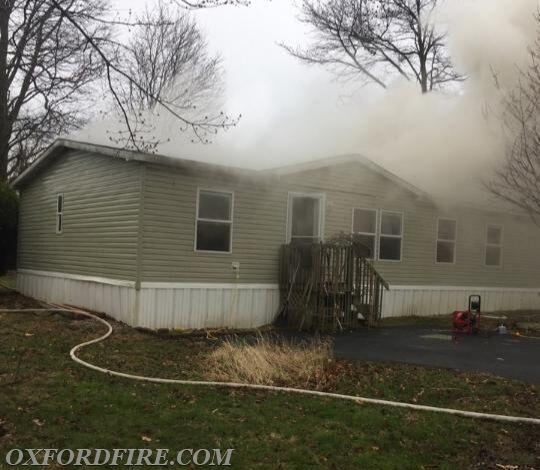 1 was alerted for two Engines and the Tanker to assist the Community Fire Company of Rising Sun (8) on a reported working House Fire in the Bay Country Estates section of Cecil County, Maryland. Units arrived to find fire showing from a double-wide mobile home. 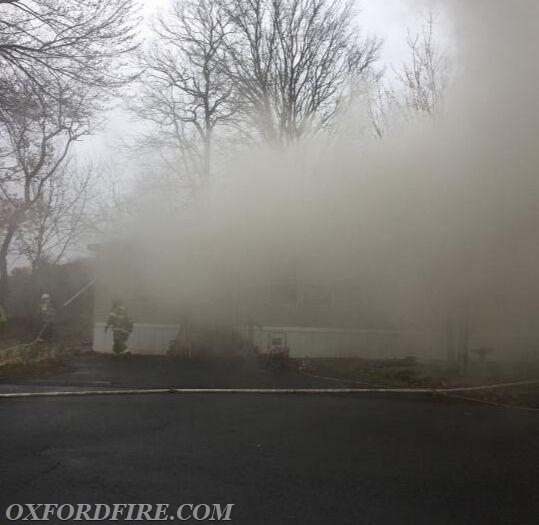 An aggressive interior attach was made by the crews. Chief 7 (Miller) held the Command for the incident. Tanker 21 (Past Chief S. Terry) arrived and was directed to the east side of the scene to supply Engine 18. 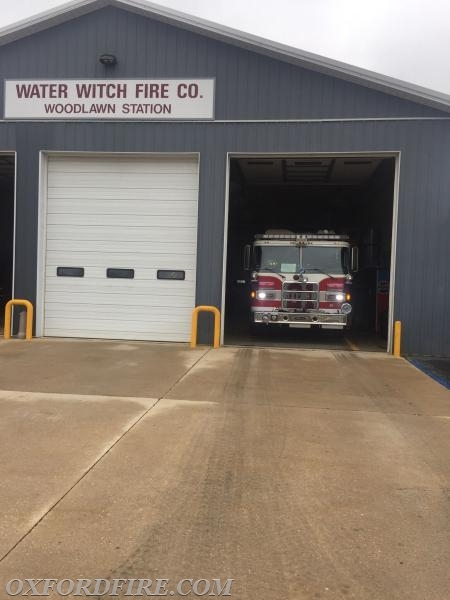 Engine 21-2 (Safety Officer Booth) was re-directed to transfer into Station 72 (Port Deposit - Woodlawn). Engine 21-1 (Captain Greene) arrived and the crew was sent to the interior. 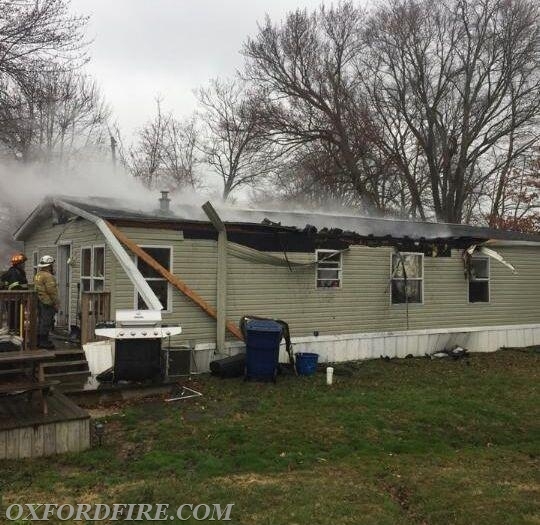 The crew assisted with fire suppression and overhaul. Engine 21-2 ran an MVC on Route 1 in the Conowingo section of Cecil County from Station 72. The final Oxford units were clear of the incidents at 1136 hours.